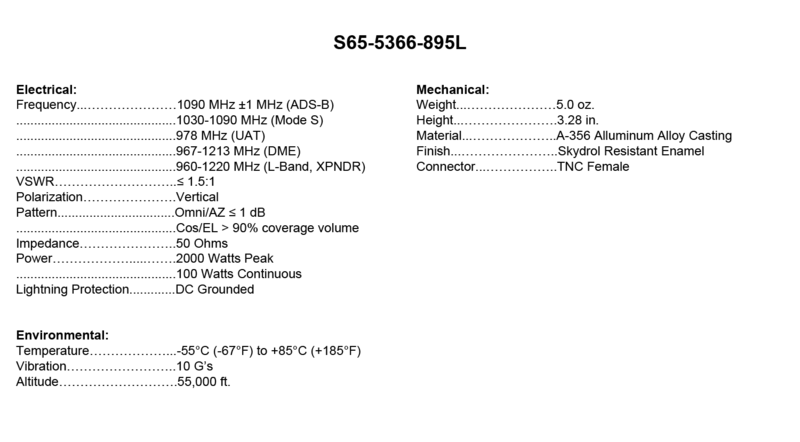 S65-5366-895L: Vertically-polarized, omni-directional L-Band antenna operating from 960 to 1220 MHz, compliant with UAT (978 MHz) and ADS-B (1090 MHz) TSO-166b system specifications. Also supports ATC Mode-S and DME applications. 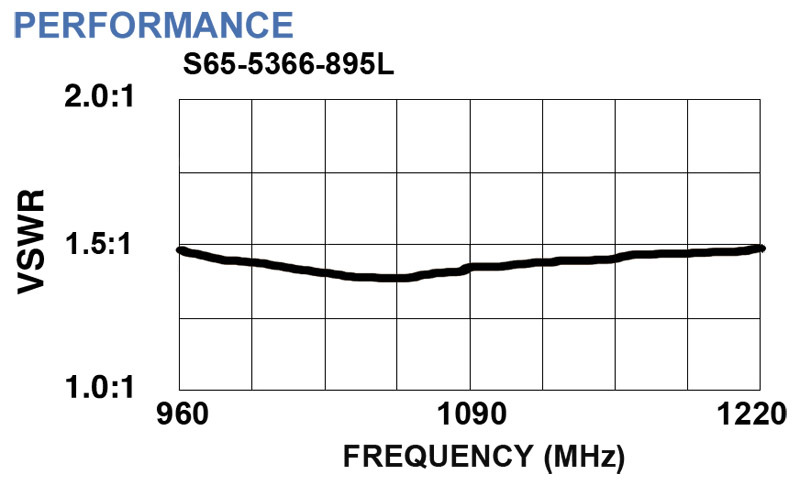 VSWR is less than 1.5:1 throughout entire frequency band. Transmit mode displays a gain of better than minus 3 dB over 90% of the coverage volume from 0 to 360 degrees in azimuth and 5 to 30 degrees above the ground plane when compared to the standard 1/4-wave monopole. Receive mode has a gain of better than one dB over 90% of the coverage volume from 0 to 360 degrees in azimuth and -15 to + 20 degrees in elevation when compared to a 1/4-wave monopole. Rugged, all-metal aluminum casting with a 4-hole bolt pattern. Unit is DC-grounded and hermetically-sealed. TNC connector, others available on request. 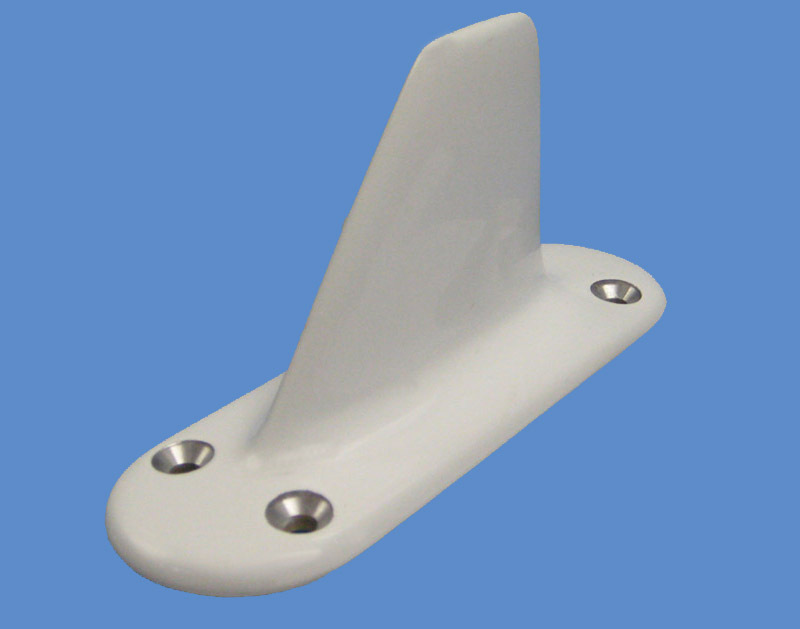 For commercial, military and general aviation aircraft. 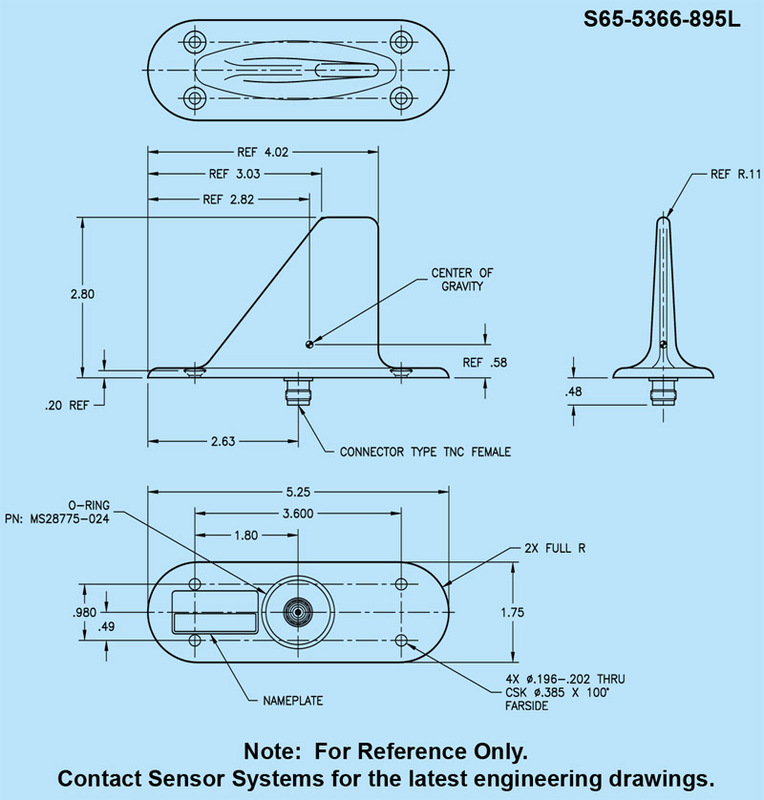 FEDERAL & MILITARY SPECS: TSO-C66b, C74c, C166b, MIL-DTL-25708F, MIL-STD-877, DO-160D/G, DO-204A, DO-260B CLASS A1, DO-282B CLASS A1H/ OR 14, SAE ARP5416.